Glen Doyle Johnston was born on August 17th, 1938 in Tuscon, Arizona to parents Lois McGoffin Friesen and Frank Friesen. Glen was later adopted and raised by his father, Herbert Andrew Johnston in Stafford, Oklahoma. Glen proudly graduated in 1956 from Stafford High School with a total of 6 classmates by his side. He served in the Air Force from August of 1957 through 1961 and was stationed at St. Lawrence Island as a crypto-operator for one year. Afterwards, he was reassigned to the Secret Service as a driver for the Air Force General in Washington D.C.
Glen took a road trip from Oklahoma to Central Point, OR in the summer of 1962 with his grandmother, Eupha McGoffin, to visit his Uncle Dale McGoffin. While in Medford a police officer encouraged Glen to apply with the police department because they were hiring. He started with the Medford Police Department on July 22nd of 1962. Soon after he met and fell in love with Hildegard Prom, who was a policewoman at the Department and had worked there since 1956. Hilde had also come to visit one of her Uncle's in Central Point all the way from Minnesota. The happy couple were married in September of 1964 and have quite a wonderful story about their romantic honeymoon in Weed, CA. Through the years, Glen worked his way up the ranks at the Police Department, eventually becoming the Chief of Police from 1984 to 1988. Glen & Hilde had 4 adoring children together who grew up taking summer road trips to Glen's beloved homeland of Oklahoma. Glen was an avid reader, a historian, a music lover, and a gardener, with a particular interest in growing okra. Glen was passionate, caring, and hilarious. Glen always had a soft spot for children and pets. Glen loved his wife, children, grandchildren, and great grandchildren with a passion. After retiring he and Hilde spent much of their time traveling to see all of them. 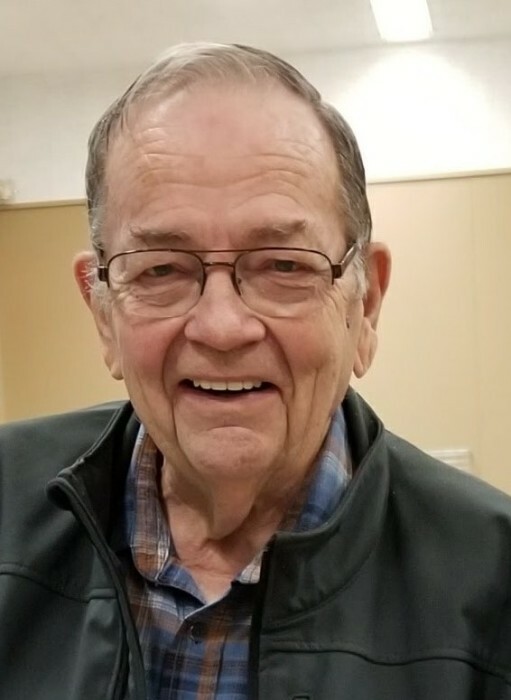 Glen Passed away on Sunday, January 20, 2019 at his home surrounded by his family. Glen is survived by his loving wife and best friend of 54 years, Hilde, of Medford; Children, Andrew Johnston of Medford, Kelli Johnston of Minneapolis, Kristi (Jay) Johnston Schwalbe of Medford, Daniel (Melissa) Johnston of Medford; grandchildren; Brittany (Brian) Ford of Antelope, CA, Travis Johnston of Sacramento, Cameron Johnston of Beaverton, OR, Hannah Johnston of Medford, and Taylor Whitley of Medford, OR; great-grandchildren, Peyton, Clara, & Adelynn Ford of Antelope, CA; brother Herb (Sherrel) Johnston of Weatherford, OK. Glen was preceded in death by his parents and grandparents. Viewing will be held at Perl Funeral Home Chapel on Monday January 28, 2019 from 4pm to 7pm followed by the Rosary from 7pm to 8pm.